It is every contractor’s quest to look their best when they present their building material solutions to homeowners. 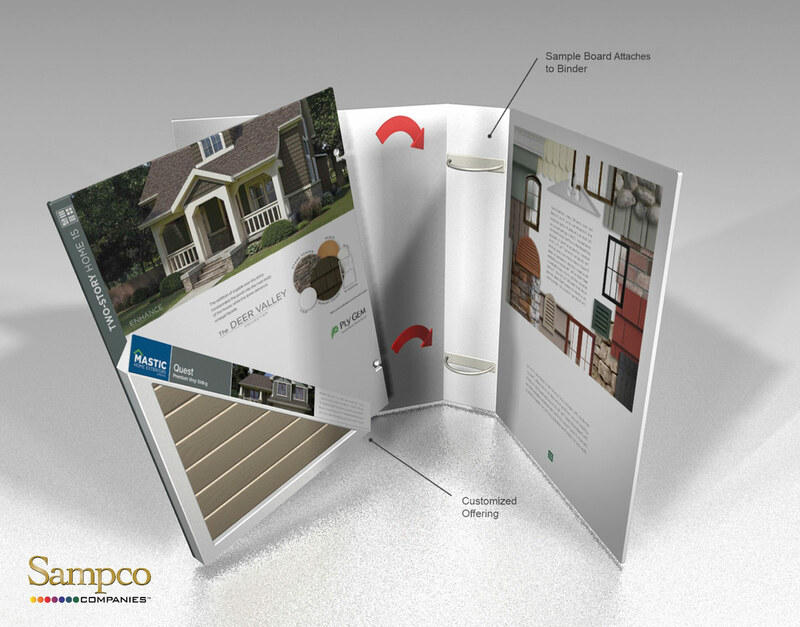 Each solution includes ultimately a professional recommendation that includes both a product and a color choice. The challenge that most contractor’s face is that the marketing tools available to them are often fixed and don’t accommodate updating them to tailor their pitch to match the regional design idea that they have in mind. 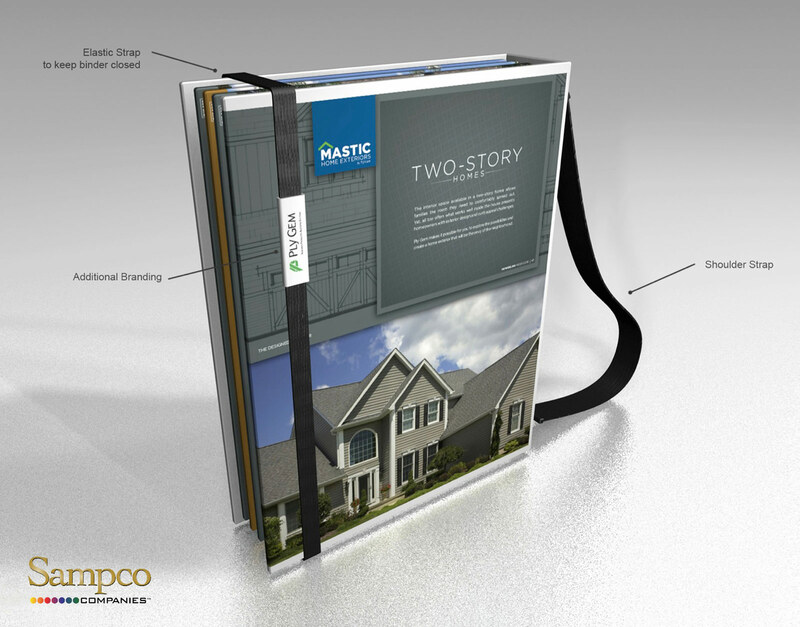 Here’s our sales solution: A beautifully designed turned-edge 3 ring binder that houses removable presentation pages that snap in and snap out, with ease. 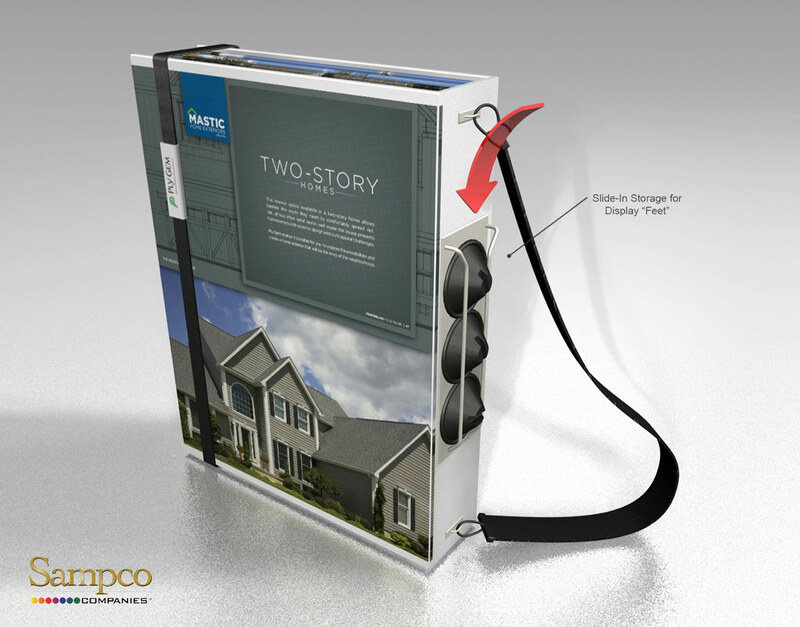 Each product specific presentation page holds a clip on customizable product and color cassette. 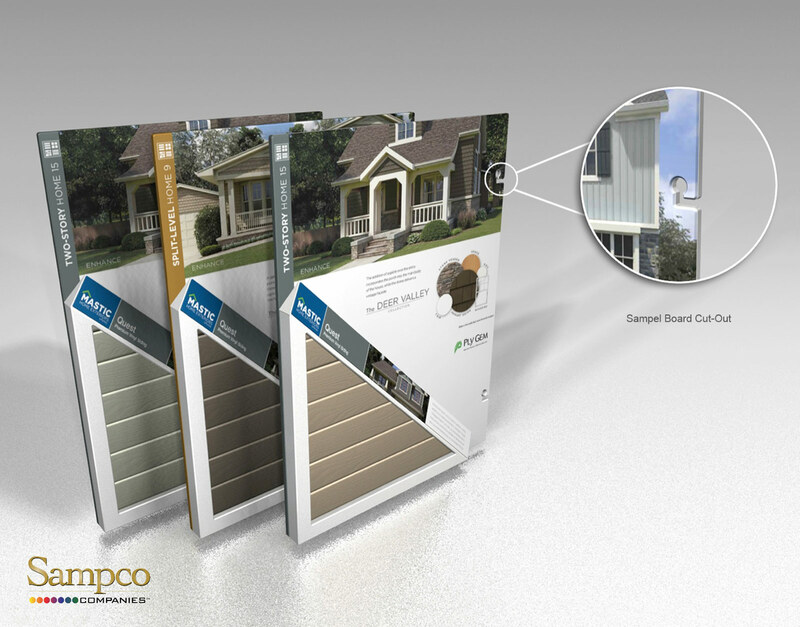 Update your cassette for each sales call with individual messaging and siding profiles that meet the needs of regional design trends and colors. Make it custom and make it simple. Let’s not forget the cool plastic feet that that allow contractors to stand our binder professionally on a homeowner’s countertop or dining room table. And, after each presentation the feet store easily in the spines rail system.